I bought some P232 mags and space pens from Greg. Cheapest show on the interwebs. My LGS was in disbelief when I told them the price he was selling them for. He shipped lightning fast and went above and beyond packaging them. A+ class act. Hey Greg, any ETA on these? Sig SCT style P229-1 9mm 17 RD magazine AFC for the P229 E2 or P229-1 $29.95. Thanks! Hope to have them soon but I don't really know when they will show up. Mec-Gar doesn't normally give me much advanced notice. You can sign up on my website to be notified as soon as they arrive. Click on any sold out item you are interested in and enter your email on the notification form. Notification emails will be sent out as soon as the item is back in stock. Thanks for the reminder. I forgot you had that feature. Hey, Greg: you'll hear from me shortly on some Hogue rubber grips for P938. Great prices, just ordered some mags for the new pistola. Happiness is having to climb in your car to change your target. Quick question about CZ P-07 mags. Any clue when the "new", witness windows on the back of the mag and marked 1-15, will be stocked (these came with my recently, Jan 16, purchased P-07). Just ordered and received some magazines and they are the "old" witness marked on the side of the mag that are marked at 5, 10 and 15. Great service as always, just curious when the newer versions will be available on the market. The CZ P-07 magazines I have just came in last month and they are all have the witness holes on the side of the magazine tube. I have some of the new CZ P-07 17 round magazines on order. Maybe those and the next batch of CZ P-07 15 round magazines that comes in will have the witness holes on the rear of the magazine tube. I won’t really know till I get the next batch in. Tried to order the Hogue finger groove grips for the 229. Although the picture shows the finger groove grips clearly, the description just says wrap around without a mention of finger groove, etc. This is not the case on the other finger groove grip listings on the other Sigs. Are they finger groove or not finger groove? Please advise. The Hogue Sig P229 28010 grip is a rubber panel grip (no finger groove). The Hogue Sig P229 28000 and 28001 grips have finger grooves. The grips are as pictured on the website, Hogue's stock photos. I will place a order for some mags soon. Thank you. Time moves on .... quickly! I bought my first magazines from Greg back in 2002 (or so says the notes I made on the receipt) and here we are in 2016 and HE is still around AND offering magical prices on so many items it boggles the mind. GREG THANKS for being HERE (on SigForum AND via your web site) and still providing spectacular FAIR PRICES. Be well and "keep the rubber side down"! You must have been one of my first Sig Forum customers. 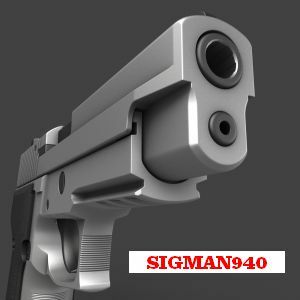 I started on the Sig Forum in April 2002, been awhile now. Hey, Greg, I have questions. I'm looking to fit a Sig 1911 C3, and I see two items on your list. First question: what's the difference? (I'm not ashamed to admit that I don't know the difference between an Officers 1911 and a Government 1911.) Second question: which is proper for my C3? The 1911 Officer has a shorter grip and barrel, 1911 Government is the full sized version and there are many other variations. Your Sig Sauer 1911 C3 has the 1911 Officer frame so it takes the 1911 Officer sized magazine. Are P938 mags available, Greg? I didn't see them listed at all. The Sig P938 magazines are sold out. Not sure when I will be able to get a good deal on them again. Goods arrived this afternoon. Thanks, Greg! Greg, please check your email.